In 1620, more than 100 devout men and women crossed the treacherous Atlantic Ocean and established a colony in the New World where they could build a righteous and Godly society. Without the fortuitous friendship of the Wampanoag people and their charismatic leader Massasoit, however, it is doubtful the holy experiment would have survived. Fifty years later Plymouth Colony has not only survived, it has prospered, and more and more Englishmen are immigrating to New England. The blessed alliance with the Wampanoag, however, is in severe jeopardy. Massasoit has passed away along with most of the original settlers of Plymouth Colony, and their children and grandchildren have very different ideas about their historic friendship. Thrust into the center of events is Reverend Israel Brewster, an idealistic young minister with a famous grandfather and a tragic past. Meanwhile, Massasoit's son, known as "King Philip" by the English, is tormented by both the present and the past. He is watching the resources and culture of the Wampanoag nation fade away at the hands of the English and desperately wishes to restore hope and security to his people. In a world of religious fervor, devastating sickness, and incessant greed, can the alliance of their forefathers survive? Or will New England feel the wrath of tragic, bloody war? Thrust into the center of events is Reverend Israel Brewster, an idealistic young minister with a famous grandfather and a tragic past. Meanwhile, Massasoit's son, known as "King Philip" by the English, is tormented by both the present and the past. He is watching the resources and culture of the Wampanoag nation fade away at the hands of the English and desperately wishes to restore hope and security to his people. In a world of religious fervor, devastating sickness, and incessant greed, can the alliance of their forefathers survive? Puritans. Quakers. Pirates. Mohawks. Witches. And a brutal war.... If you thought New England was dull in the 1670s, get ready for a history lesson. 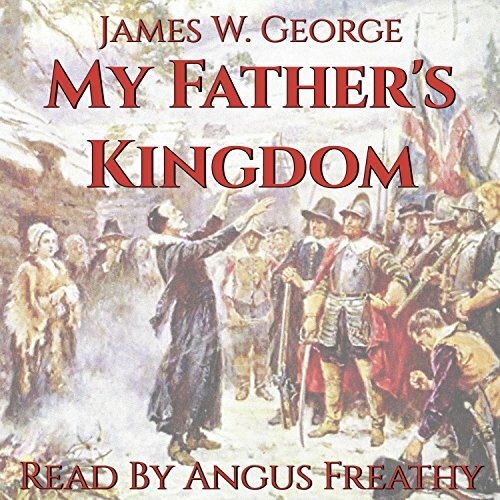 In the critically acclaimed My Father's Kingdom, debut author James W. George transported his listeners to 1671 New England and the world of Reverend Israel Brewster. 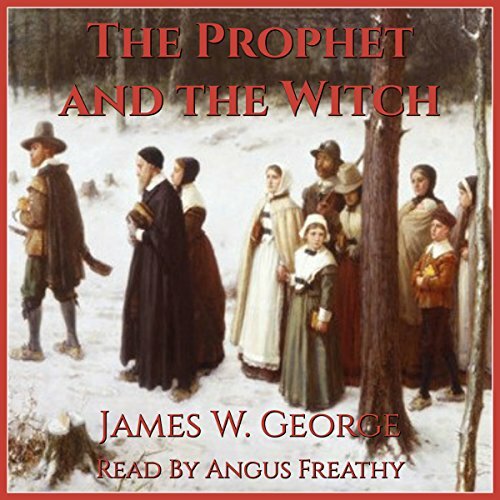 Four years later, Brewster is a disgraced outcast residing in Providence and working as a humble cooper, but despite his best efforts, King Philip's War has begun.